So, clearly, we did all that, and didn’t. If you said, Arsenal will have injuries, but perhaps not hugely more than others, depending on the countering. I would have agreed wholeheartedly, and been happy. Taking the points in order from above. An American might say “that’s why we play the games”. If we hadn’t, we would have all ranked the teams wrongly. What I don’t believe are things like “the league was weak this year” and all the variations on that theme. It implies that all the other teams were “weak”. Yet, Manchester spent the usual fortunes (plural), as did Chelsea, from last year’s very strong teams that finished above or near to us. The players brought in did the usual ratios of very well to not so much as well. The managers were all keen to win. No, what I think we see here are two things. One, is a bit of magic in the Leicester story, mixed with a magical coming of age of Vardy and Co. Who’da thunk it!? The second, is more germane, but one that will only grow, I think, with the new money coming for TV contracts to the EPL next year. Parity. A dreadful word that means “less likely to dominate” in the sporting world. This year, perhaps more than any other year, there were no guarantees. The best players and 3 deep squads of national team stars, were not enough to “guarantee” victories like they used to, give or take the rarest of upsets. Draws and occasional losses are now more routine, barring playing the disaster that was Villa this year. Look only to what happened to Spurs on this last, St Totteringham’s, day of the season. Newcastle had no right to do much, but … 4-1 or was it 5? So, a final thought, for those who wonder “what if?” … If I had to summarise our season, I would call it bad luck. I did a bit of a troll about and counted injuries. We are injured more or less, depending on how you count, but I think that it misses a point. The bad luck is where you get injuries, not how many you have per se. Our main losses this year, for longer periods, include: Santi, Jack, Ramsey, Coquelin, Ox, and Theo from the “stars” if you will, and: Flamini, Arteta, Rosicky from “yesterday’s stars” perhaps. Yes, others, but this list is the key point. Where do almost all of them play? Central midfield… The exceptions are Theo and (some of) Rosicky who liked to drift inside anyway, and Ox. And in our system our wide midfielders drift in to create space for Bellerin and Nacho, so they could all be seen as being there to an extent. Still, the main point is that Arsenal lost about 2 teams worth of central midfielders. People who could start for many teams, and in the deeper lying defensive/distributing and box-box area that drives Arsenal’s style – and many teams these days. A top duo there and you are on top, say like Santi and Coquelin early going, Ngolo Kante and whomever this year for Leicester. Confusion in any sense around there (eg a disinterested (?) Yaya), and you have serious issues against even mid table teams. Or just one of those things and we might have seen a different season. One where we didn’t rely too much on an aging Flamini before we got Elneny, one where we didn’t have to wonder where the central magic and holding would come from because we had Santi to Ozil to everyone else on pace – and as an aside, I think that’s what hurt Ozil’s second half season a lot. Recall finally, there was only one team that took full points from two matches with Leicester this year, and it was a largely fully healthy core central midfield on both of those occasions. Every team can go through this exercise, and do. We could well ask, are the injuries due to Arsenal’s style? Something that must change to be more injury free? The player’s style? A curse that requires stirring burnt offerings in the middle of the Emirates? Who knows? But, for Arsenal, for 2015-16, I think the concentration put too big a hole in our middle to cover, and did so at a crucial juncture. Over the summer, this will hopefully close in some useful way, with some leaving and others coming, but for now dat’s dat! What are your thoughts? I am completely off base? Or, have I explained all, like a mighty oracle? Now on to the mindless madness of the mid-summer window of doom, and have a great summer, we aren’t too far away from game 1 again! Spot on Professor. The double midfield pivot is soooooo important and to have quick successive injuries there really did for us. We always seem to struggle too long when a key player gets injured anyway, but having to do without Le Coq and Santi, and then not having Jack as back up, with Rambo not being 100% fit either (and lacking form during the key months) did not help us at all. Santi + Coq vs top teams, especially away. But, Santi is older and will need rest and recovery. So, rotate with Jack, who definitely needs some form of curse lifted. I don’t think AR is of the same mold. Around to fill in and/or cover the wider spots we have: Alexis (1st on most sheets), and any of AR, Iwobi, JoelC, Theo,Ox and perhaps a returning Zelalem – in my order of preferences. So, my main thought, we are well covered in attacking and wider mids. We need one more to add to Santi, Coquelin and El Neny. One very good one. Xhaka? Who knows… But, I would like a more artful passing type, a younger Santi. Equally, we could use the long term replacement for BFG and Koz, where we have only Chambers and Gabriel, just now. Another of Gabriel’s quality, preferably able to start and do better than Nacho (not a small order) in the center. The forward thing is done to death, but with Welbeck who was coming on well, I thought, out, Giroud is a great holding CF, but a more pacey one and would do well there to complement Theo and any droughts out wide. Those are my three, again, and in order of need, I think, though most fans will yell the other way in that order I think. What;’s striking to me is how our injury stats compare to Leicester, who seemed to have their whole team available every game all season. Why was that? What are they doing at that club that we’re not doing at the Arsenal? Is it our our training methods, our playing technique, our playing surfaces, our medical staff, our player recruitment, or something else? Assuming that we won’t find out very quickly, we have to compensate by having a larger squad of players. That’s why it has been a poor strategy to be dependent on one defensive midfielder (Coquelin), who in any case has a modest track record at top level and a propensity to get second yellow cards. That’s why I am so hopeful that we can get both of Xhaka and Kante in to really put a top quality defensive shield in front of our back four. What a difference that would make compared to the porous open midfields we have seen in recent years! To be honest, after Le Coq’s red against Spurs, I wouldn’t mind letting him go this summer. I’ve had enough, and to me he’s too risky to play against sophisticated opposition. With my two dream reinforcements coming in, we should have plenty of numbers with Wilshere, Ramsey, Elneny,,and Santi in the mix and providing a foundation to liberate our brilliant our attacking mids like Ozil, Sanchez and Iwobi. If we bolster our midfield and somehow figure out the cause of our injuries, then we are surely in with a good chance at winning the next title. Favourites in fact! I have said it all many times re CF/Grioud so no need to repeat myself again. If we had had 15 goals from the other wing position, we would have won the league, but only Sanchez and Ollie delivered their parts. A faster CF is a possibility but we are still likely to play Ollie as the attacking pivot in many games. Agreed that the people we can rely on are Santi, Le Coq and Elneny.. but please remember that Elneny is not a DM.. its simply 2 attacking pivots which does not work for most of the matches. I would bring in another defense minded player, or promote Hayden and tell him to stick to the back 4.. In that case, even against those PTB and counter teams we are able to offer an extra man who is able to give stability to the back 4. It will sure work against attacking teams like citeh with both Santi and Elneny, but please bear in mind the number of times our midfield got breached without Le Coq on the field. You are right that Rambo is not suited for the DM pivot role.. he is just too attacking minded and before he knows it the opponent will have sped past him. There were a few lucky moments which he stuck out a leg and regained possession very nicely, but most of the time he was not in the DM area at all. More to come, but lets hear from the rest first. The wrench in such thinking of course might include whatever Gibbs does going forward too. per my response to Davy and TA, don’t disagree too much. I am interested in your thoughts on how defensive a DM / deeper mid has to be these days. Varies by team and game I guess… I am currently, as always changeable, leaning towards a more balanced view that sees El Neny as more defensive than attacking with good distribution… Or are we still in a more Viera-esque era where a dedicated DM with a capital D, as in Dm? Or is it dM versus the Villa’s of the world, DM or dm vs the midtable, and Dm vs top teams and in Europe? In a word or three, it’s Europe/Depth and fans..
Europe = we play a lot more games. When Leicester do this next year, watch what happens. Every game is an opportunity to get injured, as well as to add the wear and tear that gets you injured next game. We likely need a touch more depth in those key areas, or at least deeper mid and central defender. Fans = Expectations = we compete in all cups and usually go farther than not. Again, Leicester didn’t so much. Add to Europe next year and higher fan expectations for them and it could get quite hard. All that add to parity in the article. Unlike La Liga and the Bundesliga, the EPL offers no “expected wins” by big margins. That means playing hard most every game… Even a few “light games” makes a big difference. Hence, I like your comment on two DM types perhaps. Depth is key and weve not had enough, despite it, at that locale. JGC, splendid post. You do know how to get to the kernel of things. A lot of the game of football is unseen to the untrained eye, as it has plenty to do with the understanding of space and time. Ozil is a master of space and time offensively. Santi’s mastery is both when we have the ball and when the opponent has it. He is the most influential player in our team and our biggest loss of the season. Little wonder, when he was not there Ozil’s assist rate dropped dramatically. Again if Santi had been there we would not have missed le Coq as much as we did, because Santi through his acute understanding of the field situation, would have adjusted his game to offer compatibility to whoever was there in place of le Coq, be it Flamini, Rambo, Elneny and whom have you. Santi knows how to take care of the left overs. Note that le Coq’s performance also dropped without Santi. Wilshere, I completely agree with JGC, was another big miss for the team. Memory seems short and most have forgotten what a great player he has shown himself to be. A little more intelligence to the timing of those his drives with the ball is all he needs to attain his huge promises. However, I do not favour playing Santi, Jack and Ozil together. They are creators but not goal scorers, which leaves the balance at 3 creators for 2 goal scores. The reverse is a better balance. 2 creators for 3 goal scores. 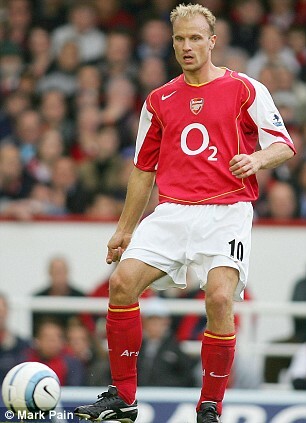 The 3 goal scores are the striker and 2 midfielders ( Henry, Perez and Ljungberg). Sanchez is a good goal scorer, but the other goal scoring midfielder I cannot find. Ramsey’s 2013 exploit is beginning to look more and more like an aberration. Wallcott, Ox Campbell, Iwobi, Gnabry? Maybe Iwobi 2 seasons hence. ……………… Or Mahrez? But how much tracking back does Mahrez do? Or do you have other names? Also remember that Wenger isn’t going to buy more than 3 players, a striker, a CD and a …………….. The juggling ain’t that straightforward. Nice one JGC – I’d overlooked the effect of the Cups and Europe, plus the fact that we don’t get the occasional easy games that teams in some other leagues do. That game against Sheffield Wednesday comes to mind, where we lost Theo and the Ox, which made it a very expensive day out. And I guess extra games have the compounding effects of both increased risk of injury through playing and much reduced recovery time from the previous game. With a larger midfield squad we could rotate players in and out for the cup games while being able to tailor our midfield selection from match to match. Sometimes a rock solid double-defensive combination (against Barcelona etc), and sometimes a more passing-oriented midfield combination to play against teams like West Ham and Everton. We do need to face up to getting replacements soon for BFG and then Koz. I would love one in the style of Sol Campbell who can deal with the likes of Andy Carroll and boss the set pieces. There seems to be a reasonable number of good young centre backs around, and no doubt the club will have one or two in mind. There’s no doubt we need to strengthen up front too, especially after Danny’s injury, and it does seem that there are quite a few pacy forward options around this summer (Lacazette and Batshuayi for instance) that we could be in for. We have some promising young attackers at the Arsenal, and with just the one top quality addition we should be really strong up front. Le Coq was the best PL DM last season, and was playing very well until he got injured. A pure DM who loves a tackle and a decent passer. Elneny and Rambo are hybrids with big engines who can defend, play box to box and add an attacking threat; and the Egyptian is the more defensively minded of the two even though he is not a natural tackler. With Flamini gone we need another natural tackler as we cannot afford an injury to Le Coq once again. My priority was a CB, but with Welbeck out we cannot afford injuries to either Ollie or Alexis, let alone both, so equally important is to get another natural goal scoring attacker who can play as CF or on Wing. My comment @ 02.55 BST contd. Parity is a word that should keep those with huge expectation of themselves very uncomfortable. But you can bet that in that parity, some are more equal than others. The secret would be inhaving a deeper quality squad. That means for example Jack as cover for Santi and Ozil. Giroud as cover for the net buster we are all dreaming of. Rambo as cover for Sanchez and so on. Top, top players sitting on the bench? That’s a messy dressing room and the only way out that I can see is regular rotation backed by fat pay packet which again drives everything towards parity. Another piece of tough juggling. @ davydavy. I feel you went too hard on le Coq. Le Coq is still young and obviously he is trying consciously to grow his game. He knows that Wenger does not place premium on pure destroyers so he has to add more dimensions to his game. A leap forward oftentimes requires first of all, a few backward steps. Again remember that Santi besides him compliments his qualities. He also looks to me an excellent cover for Bellerin. 2016/17 looks a season that would turn on the quality depth of squads. I hate to hear suggestions that injuries did us in. Wenger is the most experienced Manager in the Premiership, and the need to bolster his squad has been stressed to him on several occasions each season. This season, he categorically said he needed no other additon to the squad after Elneny. Did he not reckon with injuries which has been the excuse every season? I think our failure boils down to managerial ineptitude, and I have no apologies for saying that. If he was satisfied with his squad, he should get the results for us, not make excuses. The guy should also learn a lesson on how to make selections and substitutions – he’s quite wanting in this respect, and that must be our undoing this season. He should erase the idea of favourite players from his mind, and select based on merit. If you are talking about the striker issue, Le Prof has no choice but to stick with Giroud as Walcott is out of form, Welbeck is injured, and we do not have any better strikers. The reason that we have failed to win the title this season is because of the lack of depth to replace someone injured with a similar quality player. You can argue that it is due to his overconfidence in his team, or that Le Prof wants to save money, but to me it is because of the difference what he wants of a player and what that player can actually provide. Take for example Theo, Rambo and Giroud. All of them are crucial to the depleting squad. When Santi and Le Coq was injured, Elneny was brought in to stabilise the midfield area as a replacement for Mikel. But why he did not do that to the striking department? The answer to that question is that Iwobi is there, and he wants to try him out before splashing cash on a striker. We have other young players like Jeff, and if buying someone else means that the young gunners will not have a chance to be involved in the first team. However, for the new season, he might be thinking of throwing out Theo. And bring in an experienced striker will do him good. So, if you are yelling at the manager, be a manager yourself (of any field) and learn the pros and cons of each department, and their players and the risks involved and then come back to say your piece. Managerial ineptitude! Wow! That also covers the ineptitude of Pochettino, of Pellegrini, of LVG, of Klup, of Mourinho’s/Hiddink, and of 13 other managers. Only Ranieri, who has never won a championship before, has managerial competence. Brilliant Adekoyejo! Reminds me just how big of a lose santi and le coq were. I agree with your comments regarding El neny. Another shrewd bit of business and very quick to adjust. We definitely need another natural goal scorer / poacher. If I see theo play there and hear Arsene say he’s the best finisher my head may explode. Giroud is very important to our structure. If he goes down we are stuffed. What I wouldn’t give to go back in time and grad Eduardo! The Leicester story is a big one but some other smaller clubs played their part too…West Ham winning all those away matches early, Swansea doing very well late season (again) under the (other) Italian manager, for example. Koeman got his club (So’ton) going in the 2nd half (after that 4-nil beating they gave us…) and Pulis and Allardyce did their usual ugly stuff too. Even Chelsea (and their refs…) popped up, now and again, in a spoiler role, esp. against North London teams… As such, I think you’re very spot on about no easy matches in England. a. More games is more wear is more opportunity for injury is demand for depth if you are going to compete in all the cups and Europe. No way around it. Unlike some above, I think we had enough depth and agree about Arteta in the point you made. I would say that being more equal is a function of quality of the organisation. I would note that while some criticise AW and Arsenal, and perhaps rightly in some instances, the organisation is very good. Financially, which is a big part, but also in terms of keeping the organisation competitive and strong (albeit not as perfect as we would like). In comparison, I would note that ManU are down now, but have strong organisation. Chelsea, I think is mostly money (biased opinion I suspect), whereas I hear / read good things about City’s organisation (or perhaps just Vieira-esque? 🙂 ). Spurs have never seemed to have the organisation to manage their talent to consistent maximum outcomes, and Pool seem the poster child of how poor organisation efforts and inconsistency can lead to decline. Just some 2p and hardly gospel.. But, I said it in the post, parity favors strong organisations with consistent goals and focus. I think Arsenal will do better relatively in that space than many others might. Yes, you are right about the correct way to run an organisation. If we are to panic buy like manu** in the past 2 or 3 seasons, Wenger should have his head rolled before the season ends. The reason why some fans think that the manager makes the bad decisions and should go is the way the other teams are run. They buy for the sake of buying and have no regard for other teams. Take Barca and Real, for example. All the top players go there, but their playing time is limited due to the number of players they have. That was why if we are to spend like we are a bottomless cash pit, then we will be dead in a couple of years. To stay competitive, we need to manage our finances well and understand the needs of the players, supporters and the board (in order of crucial to non-crucial). Hi all.. It’s a new beginning.. I loved the rumours about Xhaka and Kante.. But would you think Wenger will bring any DM or box to box.. if Santi, Wilshere, Coq, Elneny, Ox, Ramsey and some other youngsters are there..?? I don’t think so..
Elneny won’t come if Santi, Wilshere and our Capt Arteta are fit.. that’s the fact. Now, almost all of them are fit, unless something bad happened on European Cup.. One Xhaka is already a big surprised.. If both coming to replace Arteta and Flamini.. I will make a big party with my friends here.. hehehe..
And some rumours about Cissoko also.. hahaha..
Will Wenger bring another AM/Winger, if Alexis, Oziel, Walcott, Ox, Iwobi, Campbell, Ramsey, Welbeck and also some great youngsters are there.. Jeff, Zelalem.. and others..
What happened was Ramsey often take Walcott/Welbeck position to played.. Campbell and Ox almost didn’t get time.. So unless some out.. some won’t come..
What we really need is a CF and CB..
Welbeck will be out for almost whole season.. so a CF is a must.. and I recommend strongly Eredivisie star Vincent Janssen or Arek Milik, the next Lewandoski..
Mertesacker must replaced with a strong and also tall defender such as Fabian Schar from Basel or Van Dijk from Soton.. But.. there’s still so much time..
Who will come and go.. We never know.. But as we already knew (a bit).. Wenger will only bring as many as two stars and some youngsters.. Don’t expected for more.. And if something goes very wrong.. we still have Winter shopping.. to bring another great players as Elneny.. Pretty much agreed, heheheheHenry. But we need back up for Coq, so another DM is likely to come. All agreed Geoff. I would add consistency in leadership as crucial: however strong the systems and values are, a change of leader often has a huge impact on the course/success of an organisation. And yes, the departure of red nose is a good example. Somehow this does not apply to Barca, as their succession philosophy is well thought out and the players are used to the same type of play. Manu** is different in the sense that their managers after SAF plays differently, have different gameplay and have different views to the squad compared to the brilliant red nose. As we have a stability in gameplay that defines ourselves, anyone that comes in must know how to deploy tactics in the game we play. As Le Prof gets older, but his health has been brilliant so far, so it might take another couple of years before he thinks of retiring. But still, we have to have a good succession plan, and if its not Henry, then it might be Tony Adams or Steve Bould. It has to be someone that clearly knows how it is done within the team, and knows how best to deploy a tactic to ensure maximum exposure. Re Barca, they are living off the foundation built by Rijkaard and Guardiola, helped by loads of cash, but yes the change of leadership has not been too detrimental for them. That was why I mentioned we can be like them.. find the right manager from within to continue the tradition. That would be ideal, but nigh impossible imo. We will need to find somebody external who still fits the philosophy and style of play of the club..